Karla, know as Earth Girl, has a passion for finding simple, efficient and convenient solutions for leaving a lighter footprint on the Earth. 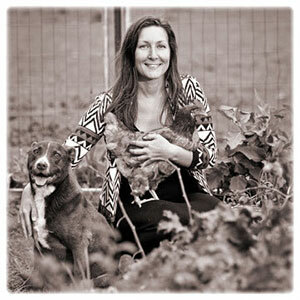 Currently living in the Perth Hills, Karla loves all things animals, sustainability and spirituality. So much so, in 2010 she quit her corporate job to intuitively travel Australia to learn about using camels as a sustainable form of transportation. Karla grew up thinking nothing about what chemicals she put onto or into her body, ate packaged foods, thought nothing about her personal environmental footprint and lived a blissfully ignorant life. She has now dedicated her life to working with the Earth to find, share and inspire solutions for living in better harmony, returning balance and respect. And her belief is that this shouldn’t mean going without. We are blessed at The Sound Temple to have Karla join us to as an advocate and presenter in the Perth Hills as part of our Common Threads Woven Through Community Exhibition.